There are few feelings quite like beating Real Madrid. And when you do it so convincingly, 3-0 and in their own stadium … the feeling just gets better. Wherever you are in the world, Saturday’s Clásico will have put a very big smile on your face. So can you imagine how it must have felt for the players? You need imagine no more, because these exclusive behind-the-scenes images have all the answers! 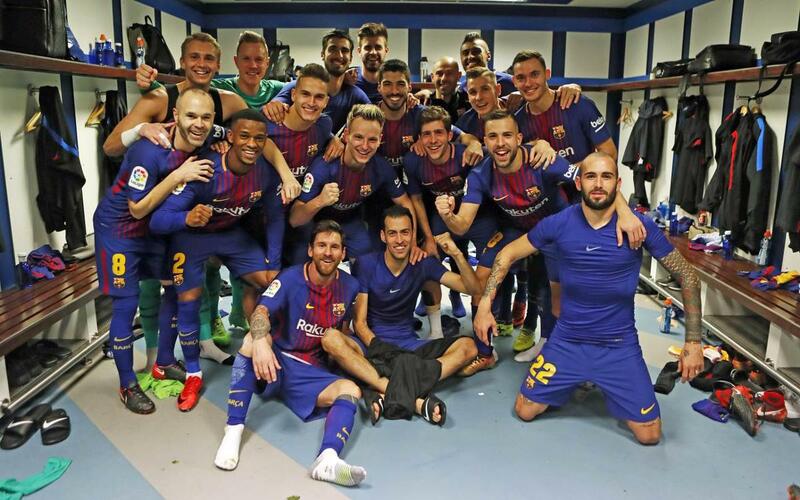 Our cameras followed them pitch, down the tunnel, and the record button was still pressed as they party, party, partied in the dressing room!